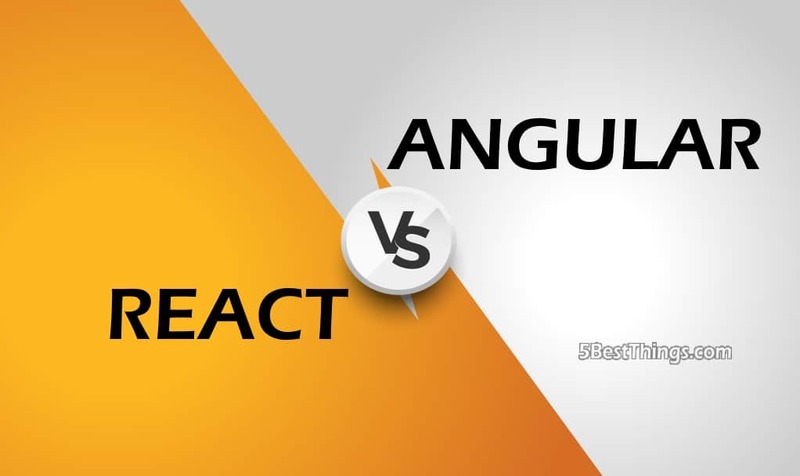 However, React is the direct opposite of Angular because it takes the centralized immutable state approach. (This means that all of the data in the application is stored in one location, which keeps it unchanged unlike MVC. ), This gives React the ability to use other libraries, making it a lightweight and powerful programming language. This lead people to believe that React has made Angular irrelevant. On the other hand, the numbers show a different story. According to Stack Overflow’s 2018 survey, Angular was ranked 11% higher than React when it comes to The Most Popular Technologies. Another survey states that Angular is 20% more popular than React. However, a lot has changed as React is starting to obtain the favor of new developers at a rapid rate. Global community support is one of its main advantages. Designers and developers constantly contribute and collaborate with the community, which increases the reliability and credibility of the framework. Two Way Data binding is another good feature, as it helps diffuse impact after each minor data change and does this with the need for more data sync and effort in the view and model form. It has a complete framework that runs on any platform or browser. Also, it’s very consistent, filled with many tools. Angular JS components are mature and robust, in comparison to React. One of the best concepts about React is its Virtual DOM. Normally, when you create an app that has a lot of data updates, you have to think about how the app structure will impact performance. React solves these problems through the use of a Virtual DOM. As its name suggests, it’s a virtual representation of the system DOM. Any changes that are performed will be affected on the virtual DOM and not the real one. This makes it easier to code without having to restart your system if mistakes occur. No matter whicoders who want to have more customization options, Angular is the way to go.h one you choose, you’ll have a reliable programming language. Try both of them to see which one works best for you!